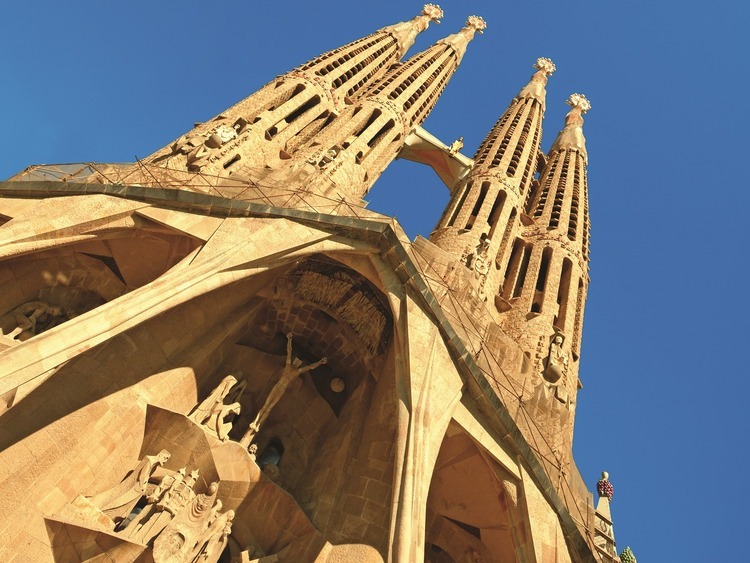 Majestic monuments from times gone by, fascinating works by talented modern artists, and historical and cultural traditions from across Spain: the city of Barcelona holds an entire world waiting to be discovered. We will start our ascending Montjuïc hill, which towers over the city at 177 metres high and offers spectacular panoramic views. We will cross the city centre and head to the southern part of the city where we will travel down Avenida Diagonal before reaching the stunning Sagrada Familia. Work started on this majestic Neo-Gothic church in 1882 following the design of the great architect Antoni Gaudí and it is still under construction (tour of the exterior). We will explore the Gothic Quarter (Barrio Gótico), the medieval district scattered with the old town's most important points of interest. Most noteworthy of all is the Cathedral, a Catalan Gothic masterpiece built on the site of an ancient Roman basilica (tour of the exterior). We will end our excursion by returning to Montjuïc to visit The Poble Espanyol open-air museum. It was built for the 1929 Universal Exhibition to show visitors the many cultural and architectural sides to Spain, with historic recreations of over 100 places of interest across the country. In the case that religious celebrations are taking place, the cathedral will only be visited externally. This tour is not recommended for guests with mobility problems.